"Hardworking".... as stated by a judge this year, describes my Panda. She is my heaviest milking producer. Panda is another doe that ties together all those maternal features...larger boned, deeper barreled, and appears wider from behind. While maybe not being the most stylish doe; she IS a workhorse. Miss Kitty is above all....Maternal. She offers width, depth, and a huge spring of rib. She does her job well; carrying babies; even triplets and raises them with ease. My beagle dogs hide from her during kidding season as she is extra protective of her babies and has no qualms of mauling a dog; sending them yelping to the house. Kitty doesn't lack in the milk department and possesses enough dairy ability, femininity, and breed character to add herself to the winning circle. Star is just a fantastic asset to the farm. Her udder is beautiful and she puts together a complete package. The judges have had multiple compliments of her. She is a finished Champion within TMGR & MDGA. She doesn't sacrifice milk production and is super to handle on and off the milk stand. She is my favorite as she is the kindest; friendliest girl here on the place. 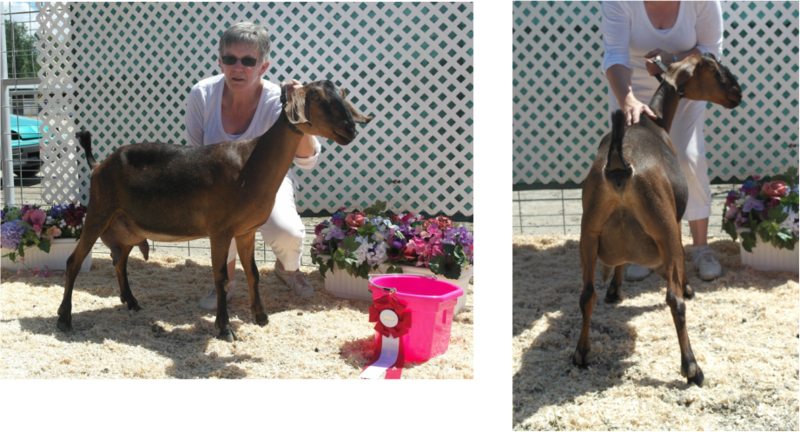 Star won her First Championship and Best Udder at the Idaho Syringa Show in Boise, Idaho. Millie was retained this last year from my best doe, Star. She resembles her mother quite a bit and is very special to us. And who can say No to those EARS! Mocha is out of my best doe, Star (pictured just above.) She takes after her mother and is almost identical. 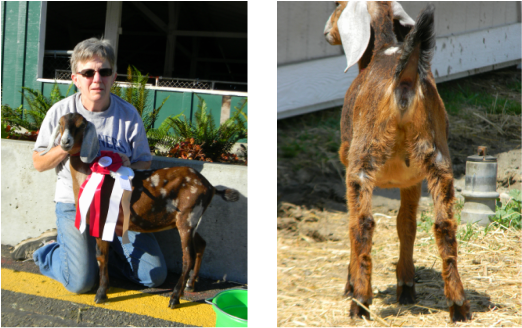 Mocha was in the show string this last year and earned her dry leg as a doeling. 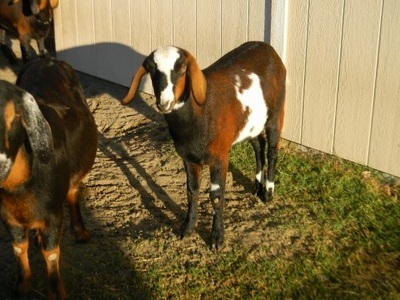 Sassy offers much length and dairy character. She has a nice roman nose and long ear length. Sassy has a reputation for throwing some wild colors to her pretty offspring. Dancing Goat Garden's Hay-zel Bee "Hayzel"
Hayzel is an absolutely beautiful doe I had the priveledge of purchasing from Annette Cottrel. This girl is correct in every way and show so much breed character. Beyond that, she is an absolute sweetheart. She was able to sweep each Sr. doe ring at the Wine Country Classic this year in which she earned her finished Championship with several Best Udder awards. She raised a beautiful uniformed set of quads this year. She won her championship WITH the quads still on her at the show! I had the luck of buying Momma Bear upon meeting Eliya at the Wine Country Classic. Her sale fell through and I was able to take her home. The picture below doesn't do this lil beauty justice. Momma is very square and correct. 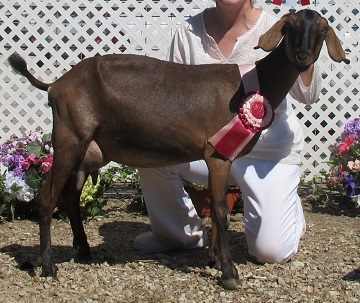 Her pedigree says it all and is stuffed full of some of the best mini nubian lines. I can't contain my excitement for this doeling. Thank you Eliya....it was such a pleasure to meet you and your family in person. Pipa was purchased from Patty this last summer. I was very impressed with Patty's herd and breeding program. Pipa will be a very good asset to our herd here in Oregon. Thank you Patty. 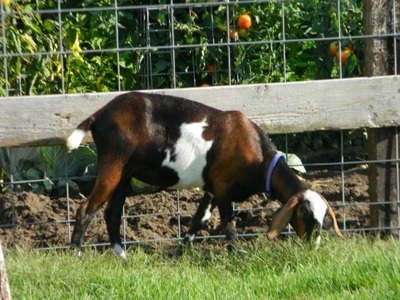 Rita was bought from the Otta Family in Finley, WA. We are very happy with Rita and look forward to her first kidding this Spring. 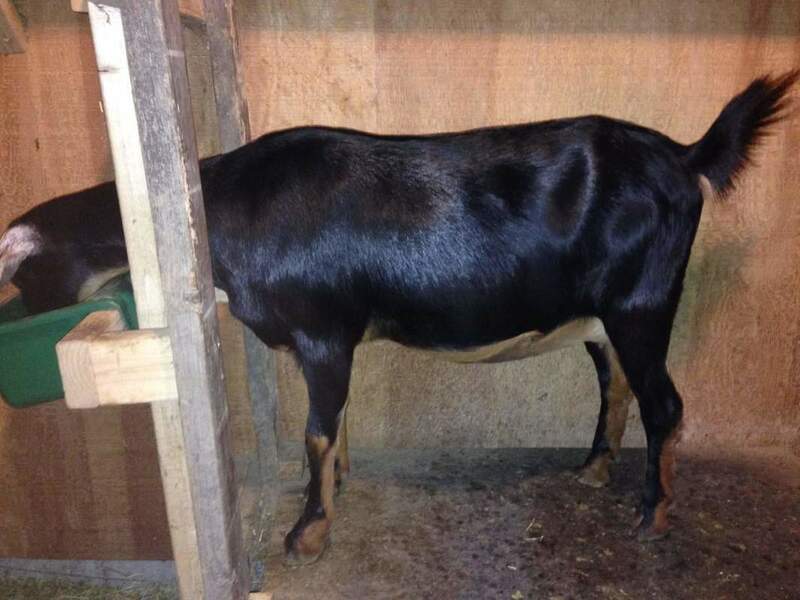 She is just a classy, very level, feminine, and dairy doe. Rita's FF udder at only two weeks. This is with her single doeling being dam-raised. Yeah Rita! Sassy comes to us from Patty in Waitsburg. 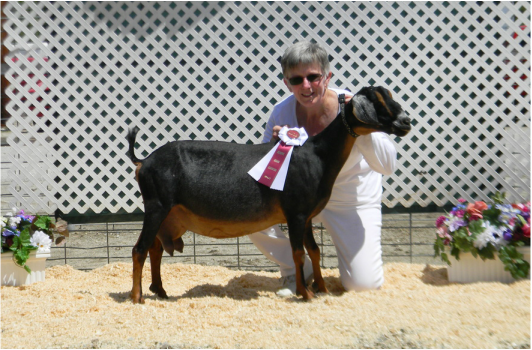 This is a very powerful correct doe that exhibits depth and capacity throughout without sacrificing breed character or style. She is just a nice overall package and great addition. Betty comes to us from Laz E Acres and the Otta family. I am so happy with this purchase. Betty is absolutely beautiful and look at those ears! To boot; she is moon-spotted. 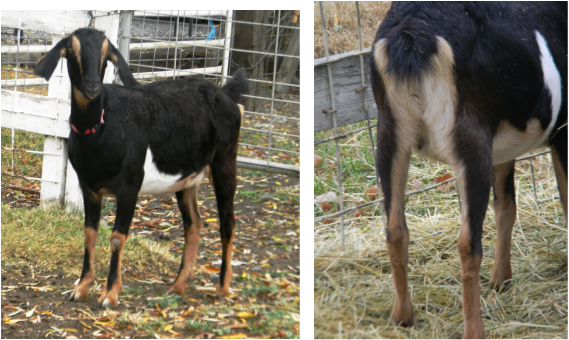 Betty also earned her dry leg as a doeling this past summer. Moni is a super stylish, long bodied doe that very easily contributes strong Nubian traits. And....she's only a second gen! Annette, thank you for letting me have the opportunity to own this very pretty girl. 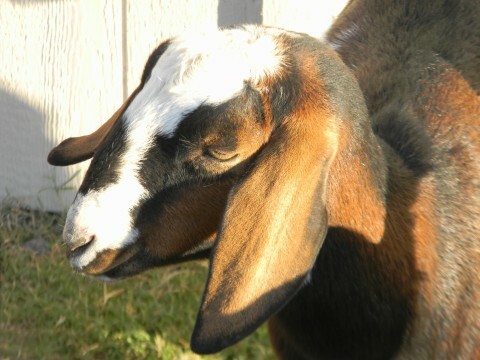 Ruby, is my youngest grandson's favorite goat. Asa just loves her and asks for her whenever he's at the barn. Ruby is a lovely first generation mini that has finished Champions on both sides of her pedigree. This is my very first 1st generation mini! Layla came to us from literally "across the country" from South Carolina. She came to us still on her momma, "Fancy." What a sweet little girl!